Far From You is a MUST read. I was skeptical about the idea of reading a book about a recovering addict and how this would be handled, but I am so glad I gave this book a chance. I knew from reading reviews this book would be dark and mysterious but I would never had guess the impact it would leave on me. This book took me completely by surprise and was so much more than a typical teenage thriller book. Sharpe presented heavy without being heavy handed, it left me absolutely hooked, Sophie’s gut-wrenching grief is embedded in every scene, in a way that let me truly understand the importance of Mina in Sophie’s life. Told from the alternating past and present point of view, Far From You tells the story of Sophie dealing with her own addiction problems as well as fighting to solve the mystery of her best friends murder, Mina. Since Sophie survived a car accident, she was left crippled and addicted to pills, for months she used pills to numb her pain and she hid this from everyone she was close to. Once her best friend found her out, she was shipped off to cleanse herself. This book tackles addiction and disability, Sophie is a recovering addict, this book captures her struggle to keep clean and how limited her ability is. Throughout the book, we are rooting for Sophie to not fall back to the state she was in and through this journey we readers fall in love with Sophie’s strength. What made this book an amazing read for me, was the ending. For me, the ending of a book is the most important; as it’s what the readers judge their opinion on. 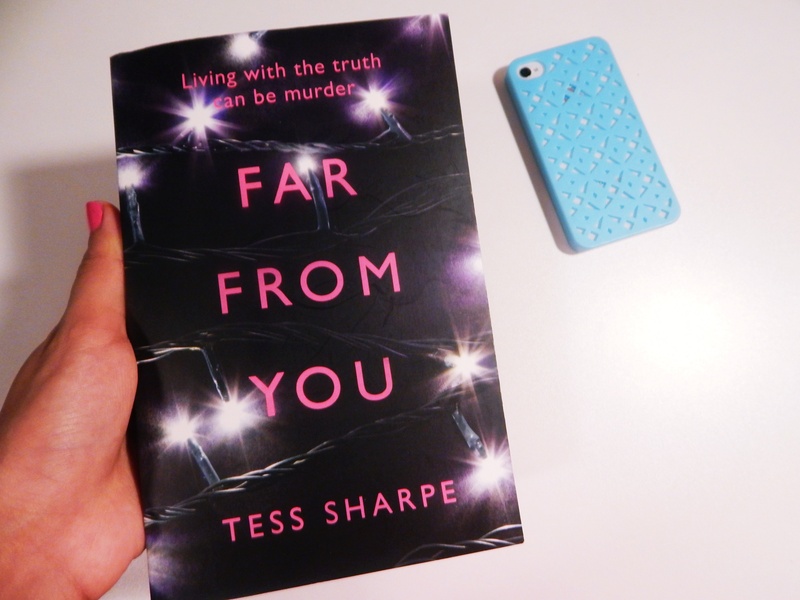 Far From you did not disappoint, the plot twist left me utterly gob-smacked. I still can’t believe I never guessed it, that’s what makes a good story, where you are left thinking how a story could’ve caught you out and still managed to shock you. This book mastered creating a beauty that has a concept of tragedy, drugs, loss, depression, love and friendship. Sincere and intense, this book was beautifully written.